One Eternal Day: "Between the crosses, row on row..."
The only member of my close family to have been killed in war in the service of the United States was my Uncle Robert, my mother's youngest brother, the only one of my uncles I never met. 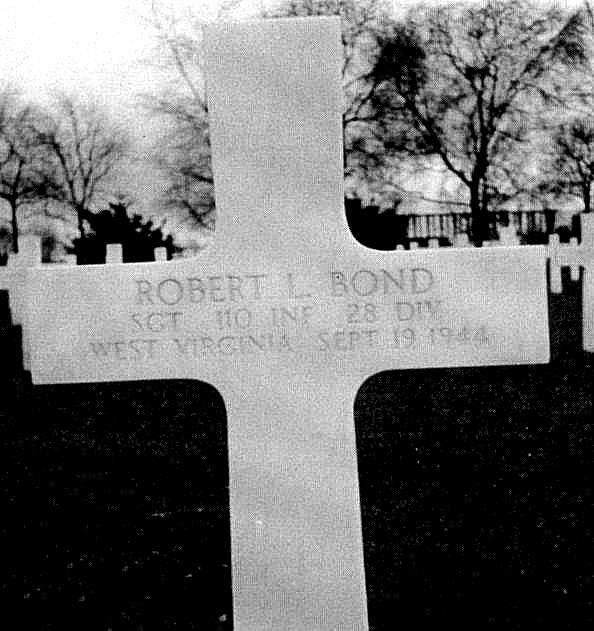 He was killed in France in September, 1944, and is buried there in an American military cemetery. .... The modern system for cataloguing and burying military dead effectively began during the Civil War, when the enormity of the carnage triggered a wholesale revolution in how the U.S. treated fallen troops. Congress decided that the defenders of the Union were worthy of special burial sites for their sacrifices, and set up a program of national cemeteries. The first time the U.S. made a serious effort to repatriate the remains of soldiers killed overseas came during the Spanish American War of 1898, when the military brought back the remains of thousands of troops who were killed in places like the Philippines and Cuba. Today, the remains of 124,909 fallen American troops from conflicts dating back to the Mexican-American war are buried at a network of 24 permanent cemeteries in Europe, Panama, Tunisia, the Philippines and Mexico.